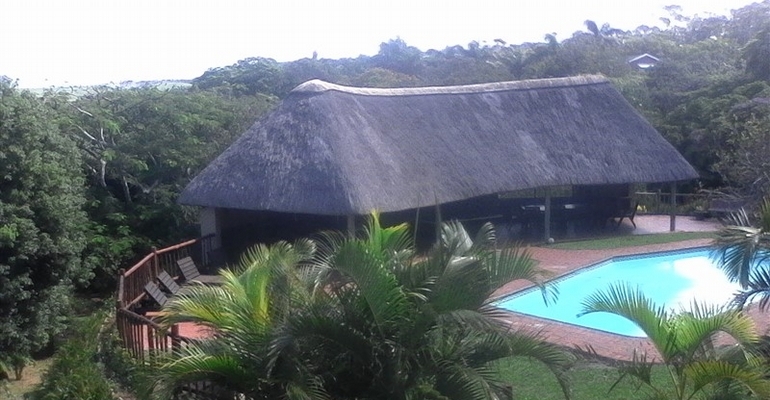 Ekuthuleni Lodge is a wheelchair friendly venue and consists of 3 lovely self catering thatched chalets set in idyllic surrounds in a secure property in Clansthal, just north of Scottburgh. The units are within walking distance to the beach, and just a short drive to Scottburgh Main Beach and Aliwal Shoal off Umkomaas. Each chalet has two bedrooms and sleeps up to 4 people. The units are serviced and there is a lovely lapa / entertainment area around the onsite swimming pool. The units are serviced and are well equipped for a self catering holiday.